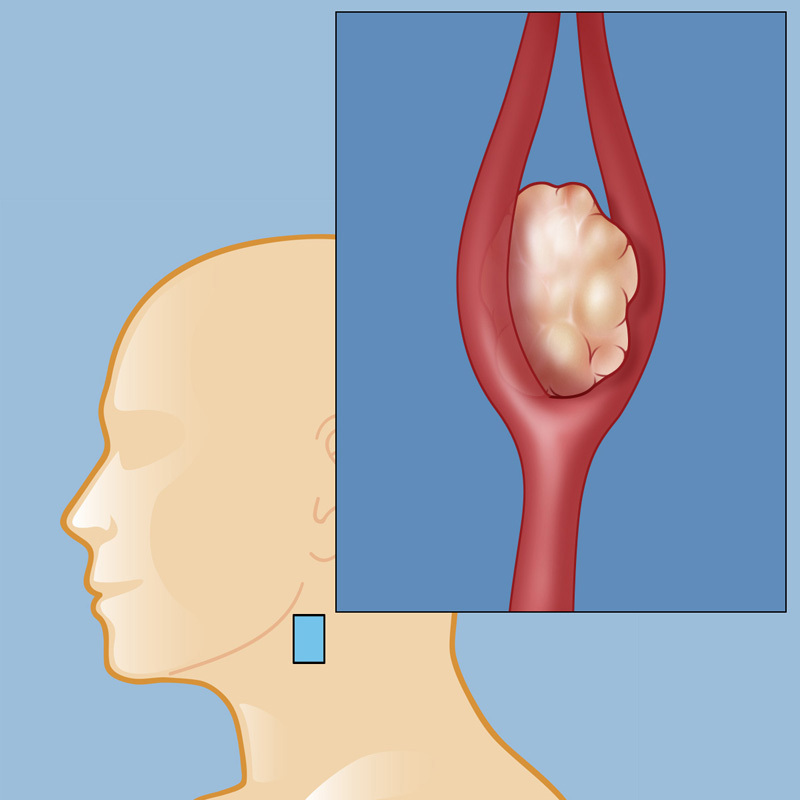 A carotid body tumor develops on the side of the neck, where the large carotid artery branches into smaller blood vessels to carry blood into the brain. Carotid body tumors are relatively rare, occur in both men and women, and are most often seen in those who are middle aged or older. Carotid body tumors also tend to occur in people living at very high altitudes, possibly from the chronic lack of oxygen. What Causes a Carotid Body Tumor? In most patients with a carotid body tumor, there is no known cause except for hypoxia (the chronic oxygen deprivation that may come from living at high altitudes). In a smaller percentage of patients there is a family connection. Reviewed by Jared Knopman, M.D.